In honor of Black History Month, I would like to pay homage to some of the great African American women who influenced rock, pop, soul, and blues more than people are led to believe. Most people think of Elvis Presley or Chuck Berry as the leaders of rock ‘n’ roll, but they were influenced by some lesser known — although incredibly talented — musicians: Big Mama Thornton and Sister Rosetta Tharpe. Big Mama Thornton is most known for her hit “Hound Dog,” which became popular in mainstream music after Elvis Presley covered it. She started singing in a Baptist church, but her influences came from Bessie Smith and Memphis Minnie, a jazz singer and blues guitarist from the ’20s and ’30s. 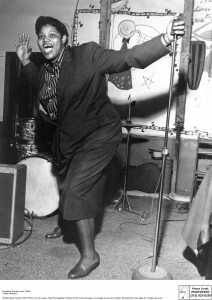 Big Mama Thornton was first signed in 1951 with Peacock Records and was performing in the Apollo Theater in 1952. She became a star after her first hit “Hound Dog” — even though she didn’t see much profit from it. She continued performing through the United States and Europe, eventually recording more and even doing an album with the Muddy Waters Blues Band. Her career really only lasted through the ’60s and early ’70s even though she wrote and recorded countless classic blues songs that were often covered by rock artists like Elvis Presley and Janis Joplin. 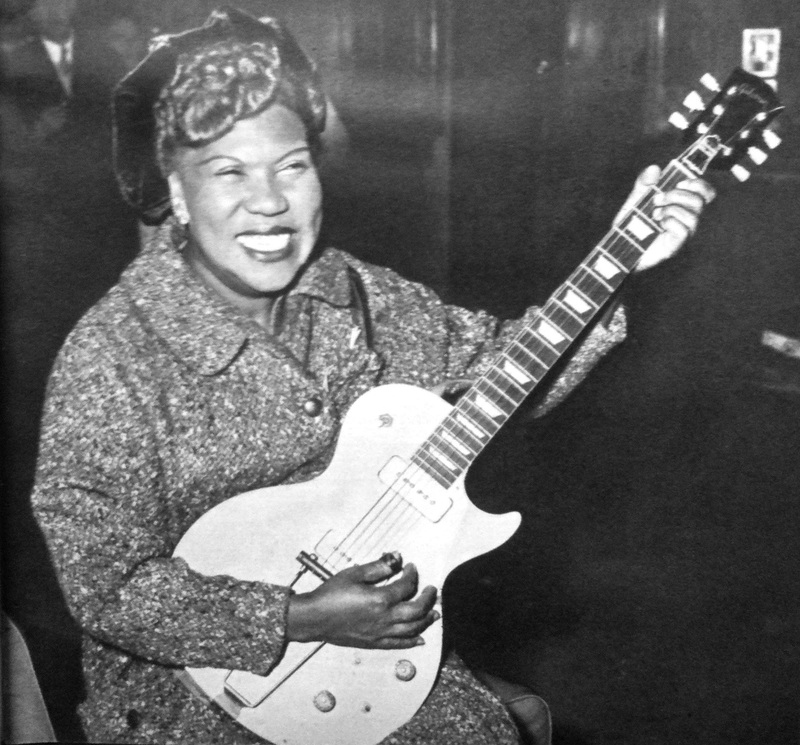 She was inducted into the Blues Hall of Fame in 1984, the same year she died from heart and liver complications. Her mother was a singer and a mandolin player, and she encouraged Rosetta to start singing and playing guitar in church at the age of 4; Rosetta was cited as a musical prodigy. By the age of 6, she was touring with her mother’s evangelical troupe and was known as a singing and guitar-playing miracle. Sister Rosetta Tharpe first recorded with Decca Records at the age of 23 and became an overnight sensation with her hit “That’s All.” She continued to record more hits, like “Didn’t It Rain,” and eventually toured Europe all the way through the 1960s. Unfortunately, she had a stroke in 1970 and had to have her leg amputated. She then died in 1973 after another stroke. It just goes to show that what is written in our history books is not always the most accurate representation of what happened. There are a countless number of people who influenced things in history and were never recognized, so let’s take some time to appreciate those people.